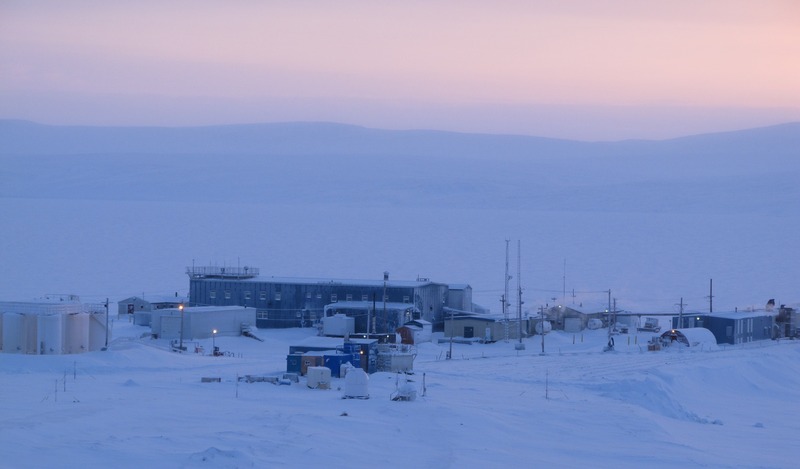 Every year, a team of scientists travels up to Eureka, Nunavut for a few weeks of intensive atmospheric measurements at the Polar Environment Atmospheric Research Lab (PEARL). This campaign started a few days ago (on February 25th), and runs until April 3. Most of the team members are graduate students from the University of Toronto, The University of Western Ontario, and Dalhousie University, who are part of the NSERC CREATE Training Program in Arctic Atmospheric Science. The team also includes scientists and personnel from CANDAC (the Canadian Network for the Detection of Atmospheric Change). Running a world-class facility with a full suite of state-of-the-art instruments in a unique location is always a good idea, but we have specific reasons for being here now. Over the next few weeks, this blog will have contributions from a variety of people on the team. They’ll introduce themselves and their work in more detail in the posts to come, but I’d like to give you a quick introduction to what we’re doing here first. 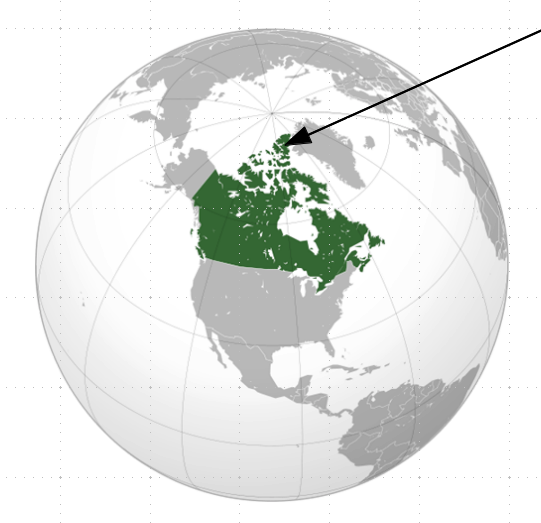 If you check out the website for the campaign, you’ll notice its name is the “Canadian Arctic ACE/OSIRIS Validation Campaign.” First you might wonder: “Why are you in the Canadian Arctic? Can’t you do this someplace warmer? And closer?” Good question! At 80° North latitude, Eureka is a special place. Temperatures drop below -50°C this time of year, and winds can make it feel below -60°C. Known as the “garden spot of the Arctic” because of its unusually high number of animals and flora, it’s a great place for science adventures of all kinds. It’s beautiful, and we’ve got the photos to prove it! Eureka also happens to be a place where certain satellites have a great number of overpasses within a short window of time…. which brings us to the second half of the campaign name: ACE/OSIRIS. What are ACE and OSIRIS? Why Validation? Our team helps ensure Canadian instruments in orbit around the Earth continue to produce high quality scientific data. The Canadian SCISAT satellite includes two instruments: ACE-FTS and ACE-MAESTRO. The Swedish Odin satellite has a Canadian instrument, OSIRIS, aboard. These instruments study changes in the composition of Earth’s atmosphere, climate change, ozone depletion, and air pollution. Over time, satellites degrade and change. The scientists who use the data need to know how the performance of the instruments is changing over time so that they can take this into account when analyzing their measurements. The best way to track instrument changes is to use one (or more!) additional instruments and compare simultaneous measurements of the same quantities. At Eureka, with the many overpasses, there is lots of opportunity to make these kinds of coordinated measurements. While at PEARL, our team will use more than 10 instruments of various kinds to take measurements looking upward into the atmosphere from the ground, while OSIRIS and ACE look downward into the atmosphere from space and take measurements at the same time. We then check how well the measurements agree, and can tell how the satellite instruments are faring. So far, these satellite instruments have vastly exceeded expectations, but we wouldn’t know that they continue to be reliable and of high-quality without validation from ground-based instruments; particularly validation measurements performed at PEARL. We’d love to hear from you… and there’s lots more you can hear from us! I hope you enjoy reading about our science adventure. We love what we do, and are happy to share our experience with the world. If you want to ask us questions, please feel free to comment on the posts. We also have a Twitter account, where I post quick observations, stories, and photos. Follow us! This entry was posted in ACE Arctic Validation Campaigns, Eureka field research, Uncategorized and tagged Arctic, Canada, Canadian science, field work, Nunavut, PhD research, research, Satellites, Science. Bookmark the permalink.